Today I will focus on the second half of that question, and talk about how to set up a new system in general. This is a topic that has been discussed in the newsletter before, but it is definitely important enough to revisit from time to time. When setting up a new worm farming system or small home bin it’s always important to keep in mind the fact that you are creating (or at least attempting to create) and ideal habitat for your worms. While these creatures are certainly forgiving compared to a lot of other ‘pets’, they do still have some important requirements – moisture, oxygen, warmth, some sort of bedding, and of course a ‘food’ source. The absolute best way to ensure success (in my experience) is to create this ‘habitat’ well before even adding the worms. I’m not saying your system is doomed to failure if you add the worms on the same day you set up their home, but there are definitely some good reasons to hold off from doing so. 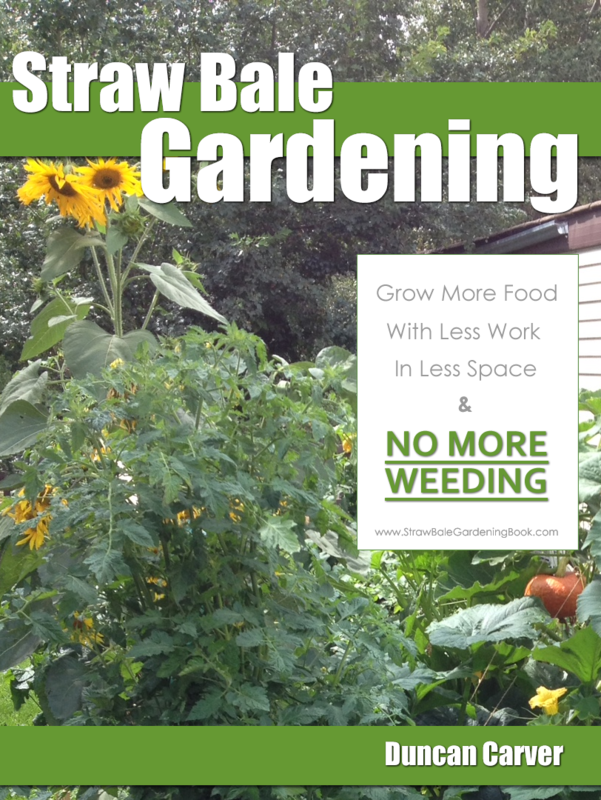 That being said, I realize it is not always possible to do this – so in the next section of the newsletter I will chat about ways to get a worm bed up and running very quickly. If I was setting up a big system like Crystal’s the first thing I would do would be line the inner walls of the bin with sheets of corrugated cardboard (flattened cardboard boxes work great), and would even use multiple layers if it was going to be a cold weather bin. Aside from providing insulation, cardboard helps to absorb excess moisture, acts as a long-term food source for the worms, and will even help to slow down the decay of the bin (assuming it is made from wood). Next I would shred up more corrugated cardboard for the bedding itself. I typically do this by hand (and yes unfortunately it can take a long time), but if you have some sort of shredder/chipper machine you may be able to do this much more quickly. The pieces don’t need to be tiny by any means, but you don’t want big sheets of cardboard either since these can stick together and impede air and water movement. It’s not a bad idea to mix in some other bedding materials as well if you have them available. Shredded paper (non glossy) and peat moss can help to add more water-holding capacity, and brown leaves (preferably moist) and aged straw can provide structure while also acting as a food source. Since we are dealing with a fairly large system here (compared to a home bin) you will likely want to spray the materials with water as you add them. For a larger outdoor system, a regular watering can (preferably with multi-stream head) works just fine. Again, since were are not adding the worms for a little while anyway it’s not as big a deal to make sure everything is perfectly moistened. It’s also important to mention that there is no need to get hung up on exact amounts of water etc – I never use exact rules and measurements when setting up a new system, but keep the important requirements (mentioned above) in mind at all times. Once the bin is full of partially moistened bedding I would next add a food source – typically kitchen scraps (fruit & vegetable scraps, coffee grounds etc) in my case, but if you live on a farm you may want to add some aged manure. We’ll talk in more depth about worm ‘food’ in future newsletters, so I’ll leave it at that for now. Make sure you mix the waste materials in with the bedding as much as possible. As far as how much to add, since we are going to let the system sit for awhile (preferably 1-2 weeks) we can get away with adding a LOT of waste materials at once (and I highly recommend doing so). Again, I just ‘wing it’ most of the time and don’t follow strict rules, but if you are that type of person perhaps think in terms of a 2:1 or 3:1 bedding:waste volume ratio – and again, this is ONLY when setting up a new bin (not a typical feeding ratio once the bin is up and running). Sprinkle some more water over the top of your bin materials once everything is mixed up, then close up the system and let it age for a week or two. At some point during this aging period you can place an order for your worms. One thing you will likely want to do during the aging period (especially with a larger system) is monitor the moisture levels in the bin. You want your bedding to be as moist as possible by the time the worms are added. If your bin has a closed bottom you will need to be much more cautious with the amount of water added since you don’t want water pooling in the bottom of the bin. As far as how many worms to add to a system – many recommend 1 lb of worms per square foot of bin surface area. So if your upper dimensions are 8 ft x 2 ft, you should add 16 lbs of worms, if following this guideline. 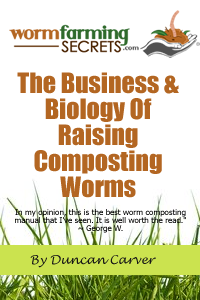 I personally take a more conservative approach – I prefer to let my worms grow into their system, so I would rather add 1/2 or even 1/4 lb per sq ft. It may take a little more time for your system to be running at full capacity, but it will cost you less initially and provide your worms with a bit more ‘breathing room’. Ok this answer is definitely getting way too long, so I’ll leave it at that for now!